 SUPAVAC - a brief background: • Supavac Pty Ltd are Australian based company that commenced operations in its current format in 1993. 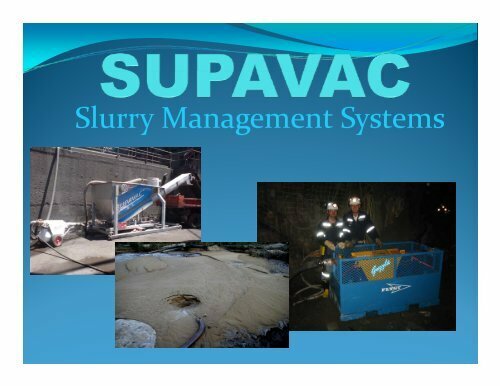 Over the past 17 years Supavac has developed a diverse range of Slurry Management Systems which includes our comprehensive range of compressed air driven vacuum loading solids pumps. • Supavac have long been at the forefront of venturi technology and design manufacturing both bespoke systems along with our standard lines. Currently exporting to some 13 countries and have operations in Santiago, Chile and Jinan, China and the United States. • Supavac solids pumps have been employed in a range of applications around the globe. These include both coal and hard rock mining, on and offshore drilling, municipal waste, intensive feedlot and aquaculture operations and hazardous waste capture and transfer. • Supavac's base range of pumps can recover and convey a vast array of products not normally considered "pumpable“. These include coal, drill cuttings, bentonite, oil sludge, concrete waste, sewage, bauxite, mud, fly ash, copper concentrate, sand, grains and fibres, in fact most flowable materials.